Qualification tests of all flight-type hardware and software show that a spacecraft design is suitable. These tests certify that the hardware and software work properly and that the hardware can survive and operate in the prescribed environment The qualification program must test each component and the complete spacecraft. It may also include functional or environmental testing of selected assemblies or subsystems. Table 12-7 liste ways to qualify a spacecraft design. We qualification test a component by checking how it performs (functional test) and testing its ability to survive the anticipated environment Each component is powered and exercised by its own special-purpose test set during test. Component environmental tests include vibration, shock and thermal vacuum. If the component must survive nuclear weapons effects, it may also undergo a flash X-ray test which simulates the prompt radiation dose. Sometimes, it may need a test of electromagnetic compatibility (EMC). Figure 12-1 shows a typical qualification sequence. A separate set of qualification components is constructed and tested at qualification levels. This set of components or a second set of qualification components is assembled Into the qualification spacecraft and tested as a spacecraft at qualification levels. Demonstrate that the component and the environment are Identical to previously qualified hardware. Fig. 12-1. Flow of Qualification Testing for Components. A component Is qualified by a series of functional tests and exposure to environmental conditions. 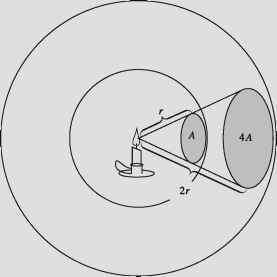 A component must withstand vibration caused when launch vehicle acoustics and engine rumble couple to it through its structural mount. Vibration is a random-signal spectrum of frequencies from 20 Hz to 2,000 Hz. Chapter 18 gives vibration data for current launch vehicles. 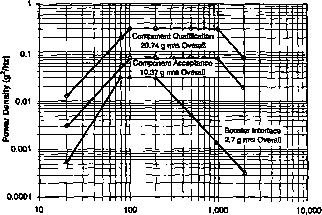 Figure 12-2 shows the vibration level for the Atlas-Centaur, as well as acceptance and qualification spectra [General Dynamics Space Systems Division, 1988]. The acceptance spectrum envelops the expected environment and is higher than the conducted level specified by the launch-vehicle contractor to account for structural resonances and acoustic input The qualification spectrum is uniformly 6 dB higher than the acceptance spectrum. To vibrate a component, an electromechanical shaker drives its base at a specified level of acceleration. Components experience shocks from explosive release devices such as aerodynamic fairing separation or spacecraft separation bolts. The shock pulse is a complex wave which induces mechanical response over a wide band of frequencies. The pulse is specified by the peak acceleration response it excites in a mechanical system with 5% damping—as a function of the mechanical system's resonant frequency. Chapter 18 shows shock-response spectra for various launch phenomena. Figure 12-3 shows the response spectra for acceptance and qualification of an Atlas-Centaur device. We can use an electromechanical shaker to produce a shock pulse for component testing, or we can mount the component on a test structure and hit the structure with a calibrated hammer blow. Fig. 12-2. Vibration Levels for Components on the Atlas-Centaur.Component qualification vibration levels are specified by a power density spectrum which is higher than the expected spectrum.